In a month where stories of brands getting hacked and unapproved videos showing up on official channels have dominated the social media conversation it’s good to see news of a brand getting it right. Two weeks ago Maker’s Mark, the distinctive and much adored Kentucky bourbon, announced that due to a recent supply shortage brought about by the brand’s rising international popularity that they would be adding water to the product, reducing the alcohol from 45-percent to 42. Almost as soon as the news went public, fans of the brand took to Facebook and Twitter to express outrage at the decision to fundamentally change the bourbon. On Sunday, Maker’s Mark posted an update to their Facebook page with a simple message that was “liked” 14,000 times and garnered over 2,000 comments. (the same message was also retweeted over 700 times). 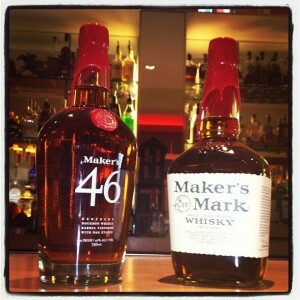 For brands that are active participants in social media (and often times those that aren’t) it can be very hard to announce a change without receiving some level of criticism from fans and users of their products, and most situations don’t allow for a change-in-course like Maker’s Mark was able to make. But the lesson to be learned from all of this (besides that fact that our bourbon won’t be watered down) is the power that brand advocates can wield and the responsibility that comes with building a passionate fan base. Many brand managers would say that they would love to have users as loyal as Maker’s, but haven’t thought ahead to how they may communicate and learn from them. Have a plan for your fans, and value what they have to say. Here’s the message Maker’s Mark released in full.